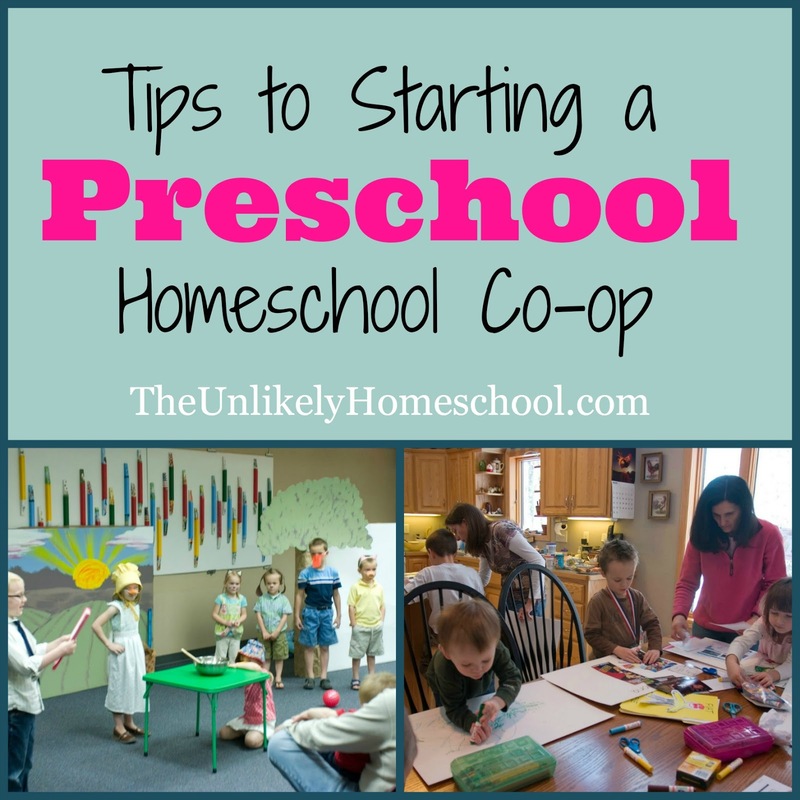 One of the best decisions I ever made when first starting out as a Newbie Homeschooler was to join together with a handful of other newbies every other week for a homespun preschool co-op. Our little bi-weekly get-together provided my children with a chance to interact with other kids, glean the wisdom of other mommas and their areas of expertise, and participate in large-group activities that would have otherwise been difficult to create with just one or two kids at home...like short theatrical plays and team games. 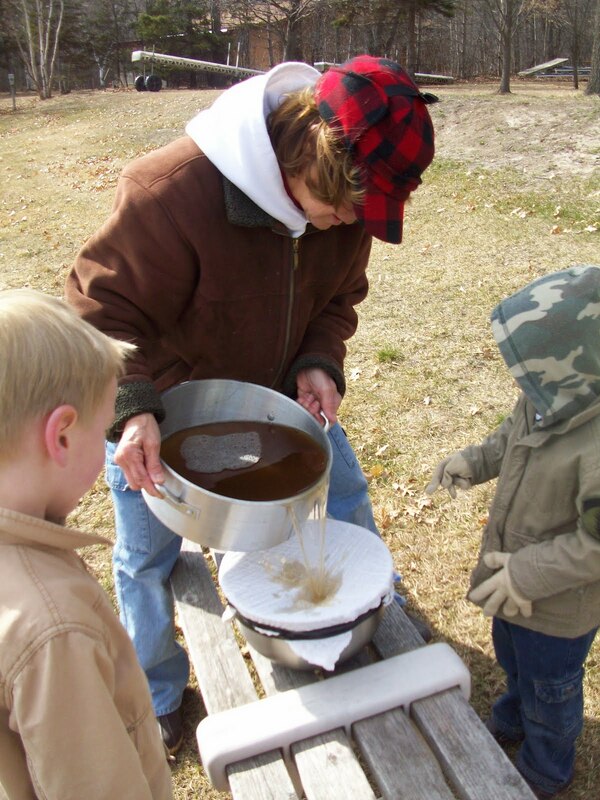 Learning to make real maple syrup. I wanted the primary focus of the group to be PRESCHOOL activities...because I had preschoolers. I wanted a group that was organized but also flexible. I wanted a group that provided enrichment opportunities that would otherwise be difficult to create for just one or two children. I wanted a group that would welcome my input. Not one that was governed by an elite few. While there were a few well-established co-ops with seasoned homeschooling families in our area, none of them seemed to be quite what I was looking for. For the most part, these larger groups did not offer much in the area of preschool. Their primary focus was elementary or high-school-aged classes. And so, when I was approached by three homeschooling mom friends who had preschoolers and who had already been informally meeting together every month, I jumped at the opportunity to help formulate a co-op that would provide my preschooler with an enriching year of friendship and purposeful play. Over the last seven years as our children have grown in age and number, our co-op has evolved and in many ways looks nothing like the group of that first preschool year. But while much has changed, the foundation has remained. 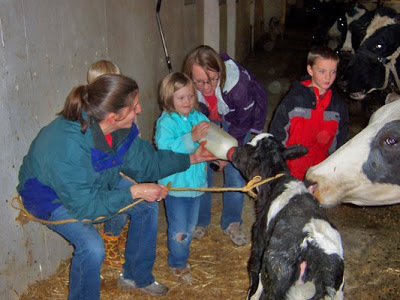 A field trip to a dairy farm. Feeding a bottle to a baby calf. Admittedly, there is no perfect "How To" formula for creating a co-op from scratch. Every group will be as unique as its members. But after several great years of trial and error, I think our group has learned a few valuable lessons worth sharing. 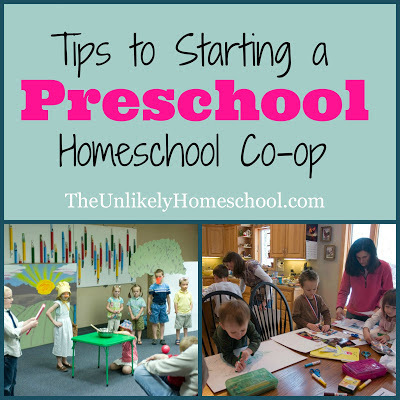 I hope you will join me throughout the next five days of Starting a Preschool Homeschool Co-op. While my primary focus will be on starting PRESCHOOL-aged co-ops, as that is my frame of reference, I'm confident that the tips I hope to share will be applicable to starting co-ops of all ages. I am looking forward to your next posts. I am currently part a group starting a co-op. We did a three week trial and am looking forward to the fall to start it up again. Great! I hope you get a few ideas as you plan for your upcoming year. I'm excited to read the rest of these posts! I recently moved, and we were a member of a similar homeschool preschool group to what you describe, but I can't find anything like it in my new area. So it looks like I'll have to start one myself! Hopefully your posts will provide some guidance for me. I hope they do, Holly! Don't be nervous about starting one. Start small and make it to be exactly what you and your kids want! Hi! 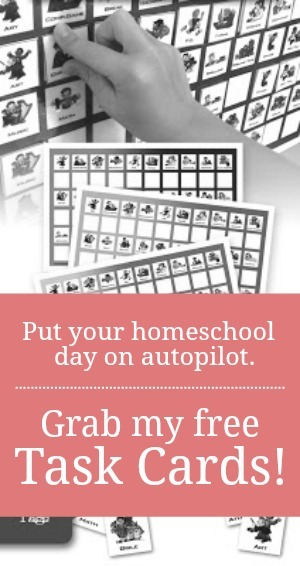 My friend and I are planning to start a coop homeschool preschool in the fall, do we need any liability insurance or can we just start? If it is just the two of you and you both will be present during the co-op taking care of your own kids, you don't need any liability insurance. When in doubt, check the HSLDA.org website for the homeschooling laws in your state.